What is the Best food in Bangkok? There are too many to list and choose from, so we have listed the 4 main popular ones. 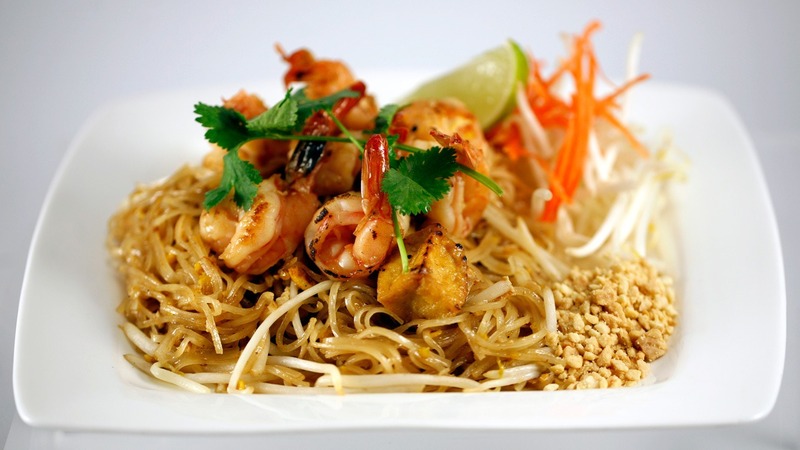 Thai cuisine is known worldwide for its delicious mix of spicy ingredients and aromatic flavours. This article will highlight four delicious dishes for every visitor to savour and enjoy during their stay in Bangkok, Thailand. Not only the best food in Bangkok but you see this all around Thailand. Available all over the city, from high-end restaurants to cheap and cheerful street stalls, this is the Thai dish that’s probably most familiar to Western diners. A handful of rice noodles stir-fried in a hot wok with eggs, bean-sprouts and onions. This quick, satisfying meal can be enhanced with a wide selection of different garnishes, such as ground peanuts, tofu or chili powder. Click for Pad Thai recipe. 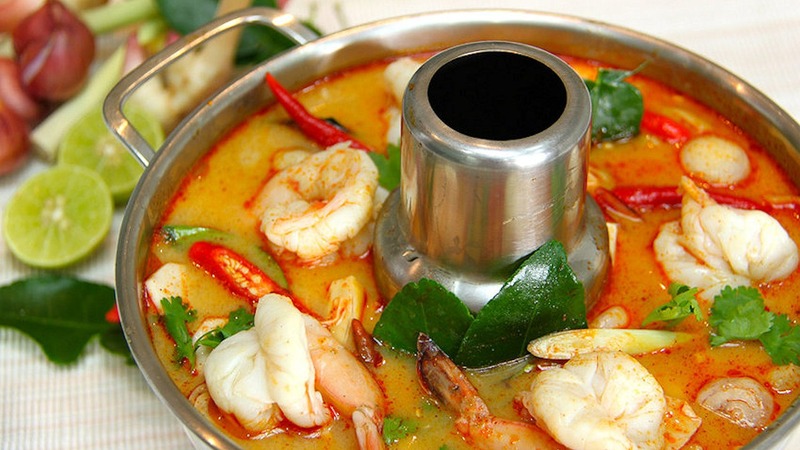 Tom Yum Goong is a spicy shrimp soup that characterises all that is best about Thai cuisine. It has fresh ingredients, beautiful aromas and bold flavours. It can be made in a variety of different ways, either as a clear or a creamy soup, but the basic ingredients remain the same in most variations. Prawns and mushrooms provide the soup with body, while lemongrass, galangal, lime leaves, tomatoes and chilies give the dish its distinctive flavour. Gaeng keow wan gai – Otherwise known as Thai green curry, this is another dish that may be known to diners before they arrive in Bangkok. 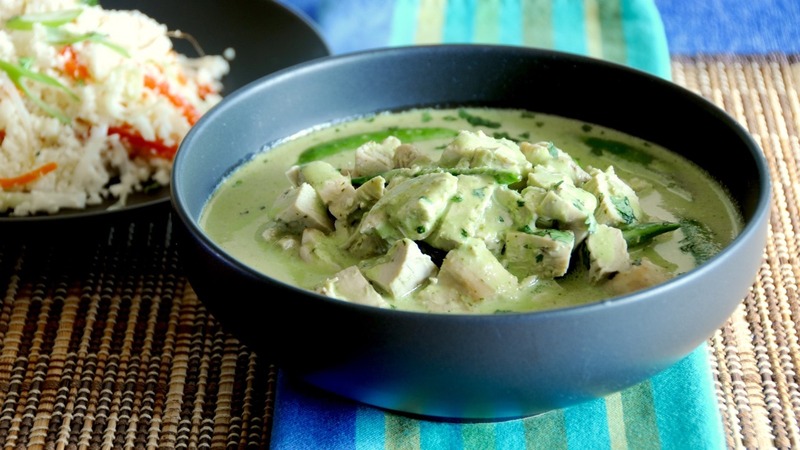 Consisting of chicken pieces, eggplants and bamboo shoots mixed into a base of fresh coconut milk, the curry is given its characteristic colour by adding a dollop of green curry powder into the mix. Served with a hot bowl of steamed rice, this is a dish that’s sure to satisfy your hunger during your stay in Bangkok. Green curry is very popular in Thai restaurants around the world. It is favoured over its cousins the Massaman Curry and Red Curry, which makes one of the best food in Bangkok. Khao Niew Bing – Finally, the food in Bangkok is not just about delicious savoury dishes. There are a variety of sweet treats available too, but one of the best is khao niew bing. 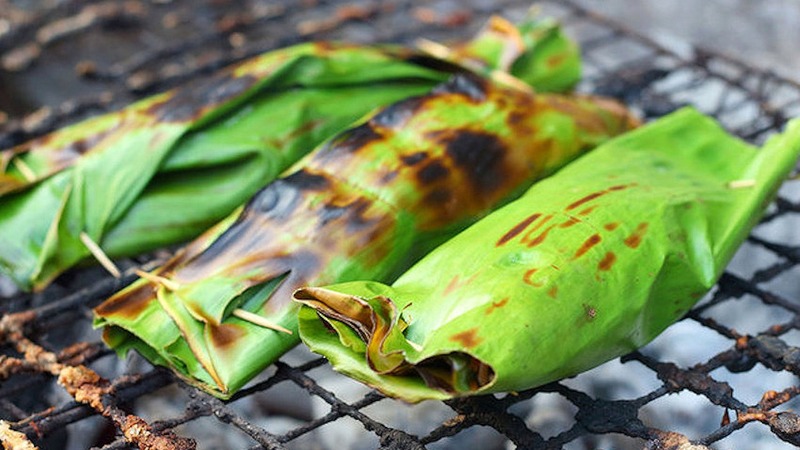 It’s a tasty snack consisting of sticky rice wrapped in banana leaves. This quick bite is available in just about any food market in Bangkok and comes in all sorts of different shapes and sizes. Primarily it consists of banana, or other fruit pieces, and sweet rice heated in coconut milk. It is then bundled up in banana leaves and roasted over an open fire. Crunchy on the outside, but moist and gooey on the inside, this is the perfect snack to please any sweet tooth. These four dishes are a great introduction to the culinary delights you can find in Bangkok and Thailand. Food is a way of life in Bangkok and there are new flavours to experience on every street corner. Thai street food is everywhere in the main tourist areas and markets of Bangkok. You only have to walk up a Soi and there will be people selling their dishes to the vast amounts of people eating from them. There are also food carts that go from Soi to Soi selling their food. You here them honking a horn to tell people they are coming up their way. Some popular ones are the carts that sell BBQ’d Grilled Meats and ones that sell Som Tam (Green Papaya Salad). You will see a lot of Thais ordering their lunch and snacks from off these carts. With smoke bellowing from their makeshift BBQ, makes it hard not to go see what is on their food cart. 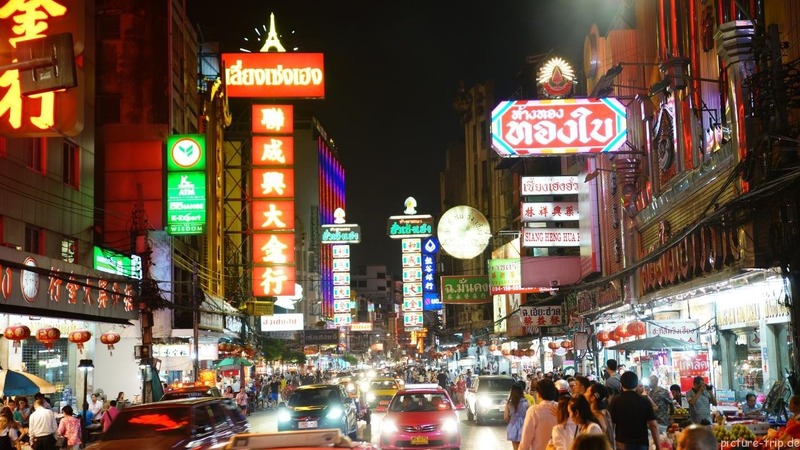 One of the best places to find streets of food is in Chinatown in Bangkok. You will find a lot of different dishes in the one area. Thailand food is influenced by Chinese food, so the food available here is second to none. Of course there is a lot of Chinese food here but there are also Thai food shops that sell their own unique cuisine. A lot of shops have a mix of Chinese and Thai Food, so it brings a whole new menu to the Bangkok food culture. Even if you order a small dish from a few places to share, then you will experience a great food day out in Bangkok. We do have Bangkok Chinatown Food Tours if you want someone to show you around.